Josef Gas has been undergoing some major changes at our Concord, ON site. In addition to expanding our filling station, we are renovating and expanding our showroom. This expansion is in direct response to customer requests that they be able to see more products on the floor and to support our growing team. We heard you and we are happy to report that more products are coming! 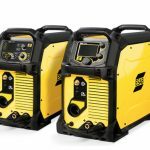 ESAB produces some of the best quality, top-rated welding and cutting equipment on the market today and we are proud to carry their products. Here’s a sneak peek at two of the most talked about new machines for 2017: the Rebel EMP 235ic and Rebel EM 235ic. The Rebel line is ESAB’s solution for portable, on-the-go welding needs. Highly mobile, versatile, and tough, Rebel machines are very popular with welders in many different industries. For 2017, ESAB has introduced the Rebel ™ EMP 235ic. This is a true multi-process machine that is suitable for MIG, TIG, and Stick welding. “Smart MIG” technology makes every job easier by providing arc monitoring and control assistance; it’s great for both rookies and veteran welders. If you have been waiting to try one of these Rebels in person, now is your chance! With our new and expanded showroom, we’ll be able to offer you these and many more machines to “test-drive” in the coming months. 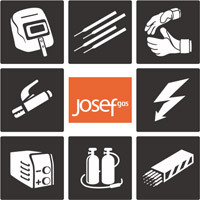 Visit Josef Gas at 201 Basaltic Road, Concord, ON to take a look at a variety of welding machines or call our team at 416.658.1212 to learn more about the manufacturers and products we carry. ← What Should You Expect From Welding Suppliers In Brampton?